In 1963, the Bridgman family moved to Newton-St-Petrock in Devon and ran a small dairy unit there with some beef, sheep and cereals on 154 acres. Dennis Bridgman was actively involved with group buying through a national farmers co-operative and was a director of the RGTA (Regional Group Traders Association). Dennis’s son Mike Bridgman returned to the farm in 1980 after a period away. Together, he and his father developed the business and formed a privately-owned partnership supplying predominately clay land drainage pipes and other materials to local farmers and contractors. As the business grew, the products supplied became more and more diverse. 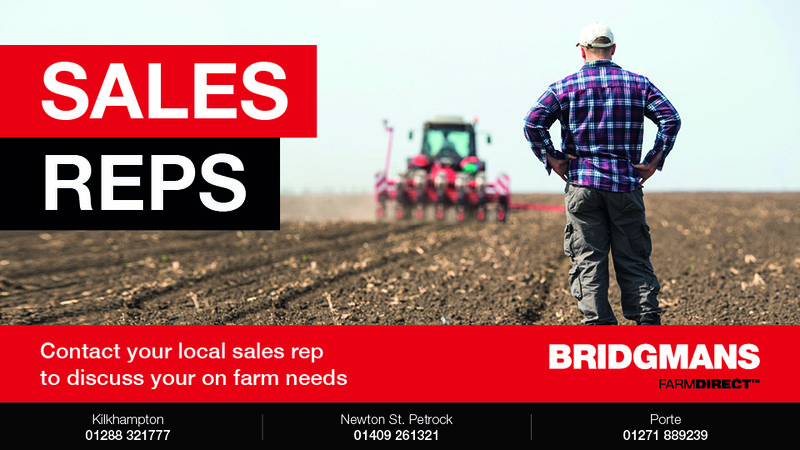 For years, Bridgmans were known for supplying drainage products but stocks of other agricultural products gradually grew to provide most requisites for the local farming community. Bridgmans’ range of stock and customer base continued to grow over the years and, while the business continued to sell a huge amount of drainage materials (now mainly plastic), it diversified into many other areas especially harvesting materials such as silage sheets, feed, feed equipment, animal bedding and fencing materials. In 2007, D&I Bridgman was acquired by Mole Valley Farmers, a farming cooperative that was itself established in 1960 by a small group of farmers in the South West. Keen to retain the successful Bridgmans ethos and the company’s history, no re-branding has taken place and Bridgmans remains true to its farming roots. Branches are located in Kilkhampton, Porte, Newton St Petrock.